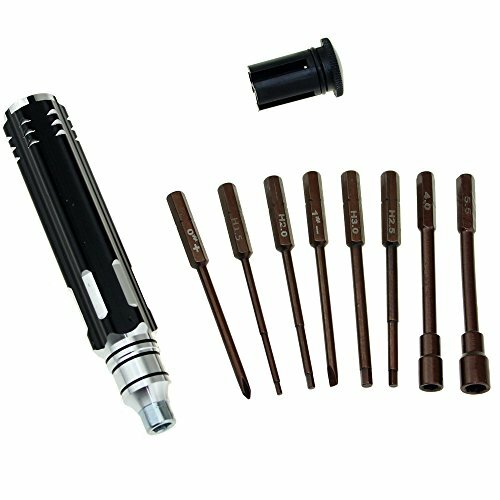 "H1.5 six angle screwdriver (cutter head 1.5MM) "
"H2.5 six angle screwdriver (cutter head 2.5MM) "
"H3.0 six angle screwdriver (cutter head 3.0MM) "
"4 inner six corners "
"5 inner six corners "
"Cutter head length: 100mm "
The hex tips are stored inside the handle cap. If you have any questions about this product by SoloGood, contact us by completing and submitting the form below. If you are looking for a specif part number, please include it with your message.